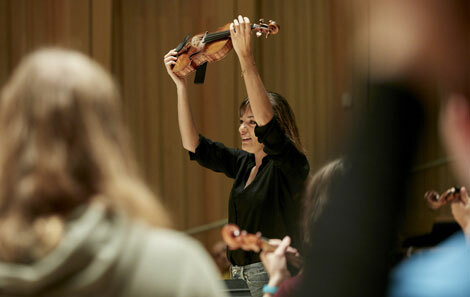 This month the College welcomed back international violinist Nicola Benedetti for a weekend of activities, masterclasses and recitals. 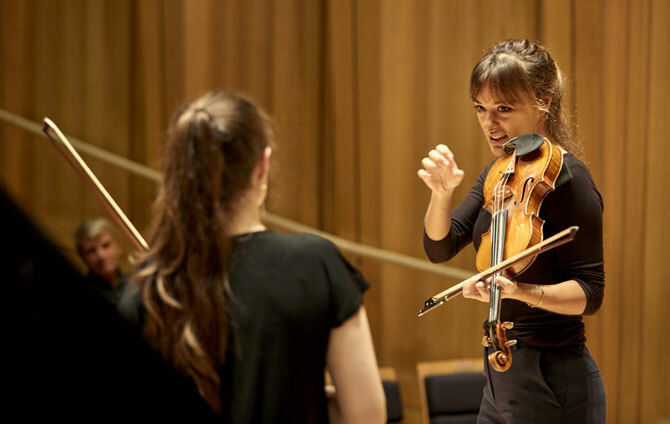 As part of The Benedetti Sessions Nicola worked with visiting string groups from Music Services, undergraduate string students, and the Royal Welsh College Chamber Orchestra. 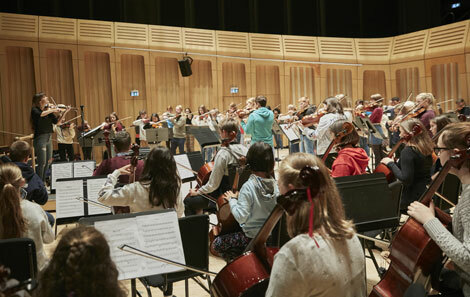 “An outstanding weekend immersed in the energy, passion, imagination and disciplined detail of music making,” tweeted RWCMD Principal Helena Gaunt. “So great to see students at RWCMD making such strides in attention and commitment. Thank you to Nicola and conductor Leonard Elschenbroich, for your generosity, vision and sheer brilliance!